We went to Quezon Memorial Circle last November 2 to allow our son to rent and ride a bike. Before we went home, we decided to have our afternoon snacks at Serye Café Filipino and ordered the following: Pancit Luglog, Vigan Longganisa Bolognese, Goto Arroz Caldo and Dinuguan at Puto. This Pancit Luglog was four our new house companion, but before she could have it, I made sure I got some from her plate for sampling. The rice noodles were firm and chewy, the shrimp sauce was tasty, and it had generous toppings of shrimps, eggs and pork cracklings. We ordered this Vigan Longganisa Bolognese for our son. He at some of it and gave the rest to me. I guess he still needs to get used to the taste of Vigan Longganisa. It was fine with me, though. 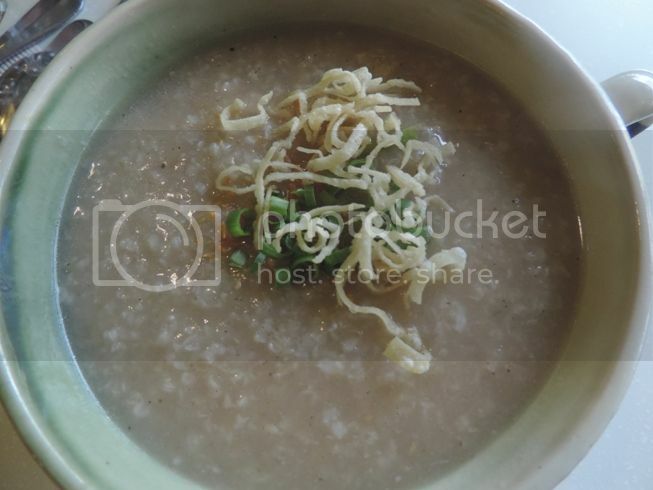 This Goto Arroz Caldo is one of their best-selling dishes. It’s rice porridge with beef tripe simmered in beef stock. It was served hot, and the beef tripe was really tender. It tasted a bit bland, though, but that was instantly fixed with a dash of fish sauce. 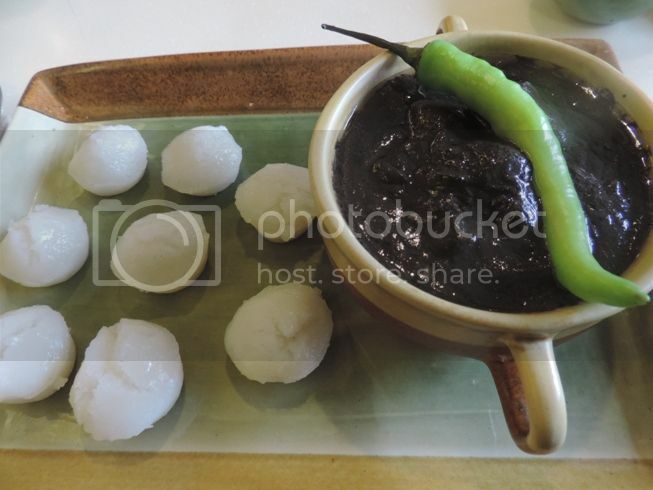 Hubby really liked this Dinuguan at Puto! He said the dinuguan was seasoned perfectly. He ate this and the 8 small, soft puto (rice cakes) with gusto. Have you tried Serye Café Filipino? What’s your favorite food item on their menu? 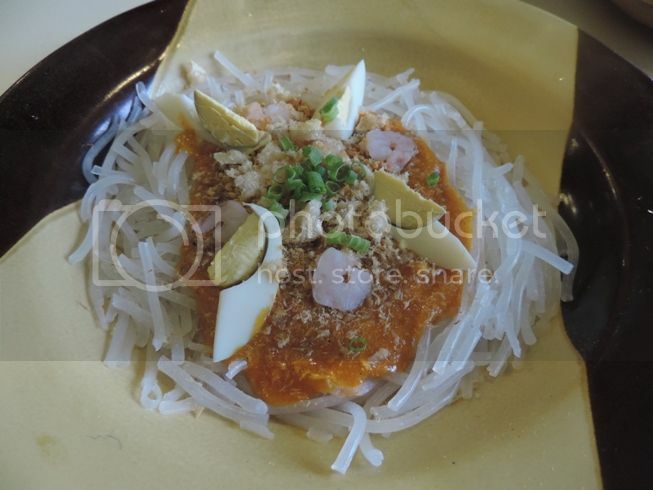 This entry was posted in Asian Cuisine, Filipino Cuisine, Food Friday, Food Trip Friday, Quezon Memorial Circle, Serye Cafe Filipino, Spanish Cuisine. Bookmark the permalink. I haven’t tried Serye Cafe yet, but I’ve heard lots of good things about it na. I think I would’ve ordered those same dishes if I’ll come in for merienda. 🙂 I’d most be excited about the Vigan Longganisa Bolognese and Dinuguan at Puto though. I haven’t tried eating at Serye. 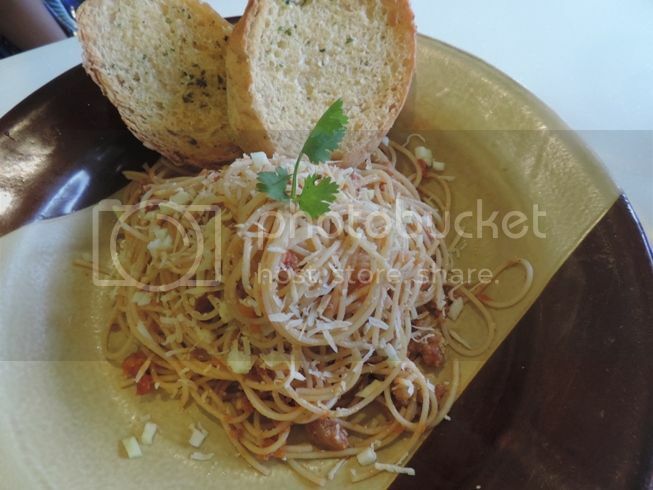 the Vigan Longganisa pasta looks delish!